The Calém brand distinguishes itself in the market for the exceptional quality of its wines, consistency and its century-old history. Its cellars have a great reputation in the wine sector and they stand out as a world reference - One of the most visit cellars in the world. 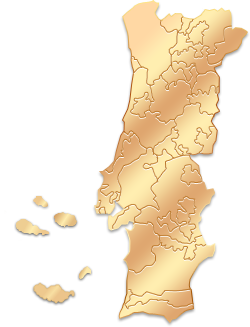 Porto Calém was established in 1859 by AntónioAlvesCalém that, taking advantage of the free trade regime in the wine region of Douro, soon turned his trading intentions to the other side of the ocean - Brazil. With this new market, at a time when the exportations to England were the most privileged ones, this company traded Port wine for exotic woods. This era is still remembered by the company logo - a Caravel. This was the driver element for the company and, since then, it knew no more borders. Porto Calém remained in the same family for four generations and has always paid great attention to the production of quality Port wines, resulting in recognition by the whole Wine World. Porto Calém devotes a special attention to the production and harvest of grapes of excellent quality in the Douro region, particularly in the areas CimaCorgo and Douro Superior, known as the "Cathedral of Port Wine". There we can find iome of the best grape vines varieties and also the famous Quintas, including Quinta do Arnozelo owned by this brand. In 1998, Porto Calém is acquired by the Sogevinus Group - Fine Wines, a company with the ability to continue the work of many years, keeping the aim of bringing new horizons to this precious nectar created with both rigour and care and continuing the tradition through the knowledge of the past allied with the new technologies of the present, always striving to do more and better. The prizes "Best of Wine Tourism" 2006 and 2008 are excellent proofs. The cellars of Porto Calém have a privileged space to held different cultural, social and business events. All areas have numerous advantages, standing out its location, the variety of hotels and restaurants and many tourist attractions. The Reception Room, where usually the cocktails before lunch or dinner are served, is a space where guests may move around, contacting closely with the tradition and charm of the Port wine cellars. The Lunch Room, a room contiguous to the dining room, where smaller events can be hold, serving also as a support space to the reception room (dance floor, bar, fruit and desserts tables). The Dining Room, with capacity for 180 people is intended for company parties, weddings, birthday and other parties. The room is equipped with air conditioning and sound system. Multifunctional area located in the main cellar and intended to different types of events such as exhibitions, cocktails or dinners. In the cellars besides the bridge D. Luis I - "Cellars of the Bridge" - concerts, weddings and other cultural, social and business events are often held. Placed in an area of the cellars where Port wine used to age in the barrels in the old days. Has capacity for 20 people and is equipped with the latest technologies, offering a perfect quality and functionality to these events. The room has multimedia projectors, plasma screens, an audio system and 3 translation rooms. The Meeting Room has a capacity for 26 people and has a support living area. Porto Calém Cellars are located in AvenidaDiogoLeite, in Vila Nova de Gaia. "O nosso grupo adorou a visitação na Cave de Vinho do Porto com Show de Fado na Cálem, com todos os pontos turísticos da região." "It was a great experience for us to visit and assist mini Fado concert in the fabulous circumstances. We have booked to visit with English guide but knowing that we speak French you have changed to in French tour. That was really nice. After the visit we had a tasting and before the show a half an hour of rest. The show was splendid with another wine. We were satisfied very much and report to the guide book too recommend this tour. I met an American couple who will go to Porto in Feb. I'll recomend them also this experience." Fantastic! We booked the Fado concert and Calem cave tour and it was definitely a must-do experience in Porto. Informstive tour plus sitting down to a concert while tasting port surrounded by giant barrels of port was truly memorable. We have made a reservation through Wine Tourism in Portugal website and we had experienced one of the most interesting experiences in Porto. Fado is the very expression of the Portuguese soul. The singers are truly outstanding and the wine tasting gave us the certainty of eternal life. 5 STARS!!! Final de tarde memorável. Excelentes vozes a cantar o fado na companhia de bons vinhos num local maravilhoso.